I’ve come to notice lately (the last 35 years or so) that prayer letters are sometimes difficult to produce; they take a lot of work (for me, at least … perhaps others can more easily come up with exciting material.) But, the bottom line is (as we say in N. America,) or, at the end of the day, (as we say in Singapore,) this is all about prayer. Sometimes life becomes routine and not as exciting as it was in the past. But God is still there; He is still at work. And oftentimes in ways we would never think He might be working. The past 2 months held opportunities to touch the lives of several people, as well as to be encouraged and blessed by several others. Through it all we see the faithfulness of God, the faithfulness of His people whom He has placed in our lives, and His desire for us to be faithful. Your faithfulness in praying for us and (for some of you) giving financially has sustained us and encouraged us. Thank you for your part in these ministries. Answer to prayer: A few months ago, we asked for prayer concerning our lease expiring and the need to find a new place to live by the end of May. There were several complications making it a very difficult thing. I was just informed by our landlord that we don’t need to be out of our house till the end of August. This gives us some breathing space, as there has been no time to seriously look for a new place, let alone start packing up for the move. Praise God for answered prayer! Quick trip to Kalimantan This Saturday (April 8th) I will go to Kalimantan. On the 11th, I will take a German couple to visit Berea Seminary (the school that Janet’s father started 60 years ago.) They are interested in ministry at Berea. I will make a short trip up to our old home (Serimbu) on the 12th/13th…. Then, back to Pontianak on the 15th, speak at a church there on the 16th, and 17th back to Singapore. 18th, I have SIM guests coming in, so I need to be back before they get here! Your prayers for: safety in travel, boldness in giving counsel, protection from the evil one, – are greatly appreciated. Many of you know that Janet and I first moved to Singapore 17 years ago to serve as Resident Trainers at Asian Cross-cultural Training Institute. We had the privilege to live at ACTI for 11 years, till they moved and restructured. For several years now ACTI has been running pre-field training courses in Chiang Mai, Thailand (4 weeks) and Singapore (2 weeks). Though we are no longer with ACTI, we are blessed with many friends from many countries, some of whom are still close friends, and we encourage every potential cross-cultural worker we meet to consider attending one of their courses. A resident training program in which people from different cultures live and learn together is, in our opinion, the best pre-field training a person can get. On March 30, I was 2 privileged to attend the graduation of the latest batch of ACTI trainees, along with others from our office. Our first grandchild is due April 20th or so… Janet has been back in Canada for a few weeks, helping Joey and Byron get their new house (in Squamish, BC) ready (they moved March 18th. ) April 30th I will fly to Canada. Janet and I come back to Singapore on May 16th. Some people have been asking about the little guy who had had an operation here in February. Here is a recent quote from his dad: “He does about 2 hours of therapy at home each day. Getting slowly better at controlling his head, but still not really in control for sitting, etc. His eyes sometimes seem to respond to changes in light, but there’s still much uncertainty regarding his ability to see. Otherwise things seem almost normal. His head hasn’t grown, his soft spot is pretty consistently caved in a bit. So it’s sort of just a waiting game on what functionality he will have.” They continue their ministry in Indonesia. A big thank you to all who prayed and helped out in various ways while they were here. Financial Concern: Perhaps it is lack of faith on my part to mention this, but we are in need of more financial partners in Singapore. Part of our salary comes through World Team, and part through SIM. Our account at SIM is not doing well. Please pray with us concerning this need. Thanks so much! http://friesen.missionsites.com/ and look in the upper right column.
? Praise God that He is with us wherever we go.  Pray for Joshua’s adjustment to RFIS.  Pray that we can promote the Jesus Film, literacy, and Scripture apps at Oroko meetings in Yaoundé.  Pray for good balance between our different roles.  Pray for the church to be a shining light, a voice of peace, and for the spread of the gospel.  Pray for the many displaced people due to the conflict.  Pray for Dan as he travels to WT Global meetings.  Pray for the Oroko NT to arrive, to clear customs, and for a secure storage location until the dedication. 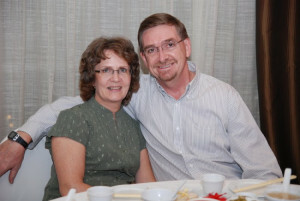  Pray for WT Global Meetings in Hong Kong.  Pray for calm throughout Cameroon leading up to the presidential elections (Oct 7).  Pray for rest & restoration during the RFIS break.  Pray for wisdom on decisions about safe travel.  Pray for calm when election results are announced.  Pray for God to bring about a peace process here. 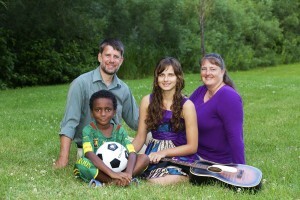  Pray for Lisa as she teaches at RFIS.  Pray for us as we lead Africa Area & Cameroon Field.  Pray for the church in Big Bekondo to continue to grow.  Pray for the RFIS Science teacher to arrive soon.  Pray for timely visas & safe travels for those appointees coming on the Vision Trip to Cameroon.  Pray for everyone preparing to host their visit.  Pray that the appointees visiting Cameroon will be able to discern if they are a good fit for ministry here.  Pray for safe travel for everyone taking them around.  Pray for the appointees as they return home & begin partnership development.  Pray for encouragement and perseverance.  Pray for more workers for Cameroon!  Pray for discernment whether to open a new field in Chad!